LP Edition of 200 with download code. Vinylization of a CDR released by Josh Burkett’s Mystra Records by this great cassette manipulator, who was long a central part of the Boston Whitehaus scene. 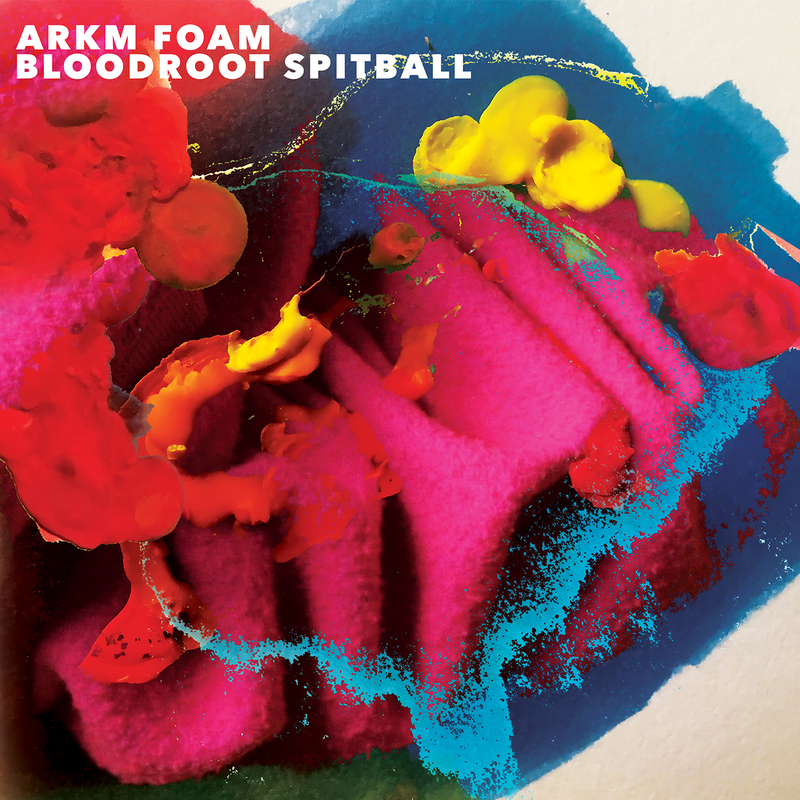 Bloodroot Spitball is a bit different from Foam’s other releases (such as Ftrcs/Cdr342, among others) since it incorporates a bunch of “real” instruments into the mix. There’s even another player, when Andy Allen joins a track to play clarinet. That track, “Clarimello,” may be one of my faves here because the friction between live music and taped/manipulated music is always a treat to hear when it’s done well. And this is.